In the summer of 2015, I was diagnosed with colon cancer when I was 43. That's young for a cancer patient. The symptoms were weird and were not what is commonly associated with colon cancer. After major surgery in early 2016, the plan was to get me back on my feet within six months. Sadly, the common treatment method of chemotherapy did not work in my case. Turns out that I have some genetic defects that lead to an aggressive form of uber nasty cancer, rendering most conventional treatment options useless. As a result, my hospital decided to turn me away, knowing they had no idea how to help me going forward. Seemingly left to die with no further treatment options, the power of the universe put me in touch with a crack team of doctors at Mount Sinai Hospital in Miami Beach. These people were not so easy to give up on me just yet. They suggested immunotherapy, the same treatment that miraculously cured Jimmy Carter. And it worked wonders! In only two months, I went from a sleep-deprived wreck, living with constant pain, unable to walk without a wheelchair or a stick, to cycling 10 miles a day. And all that without major side effects. If that's not a miracle then I don't know what is! 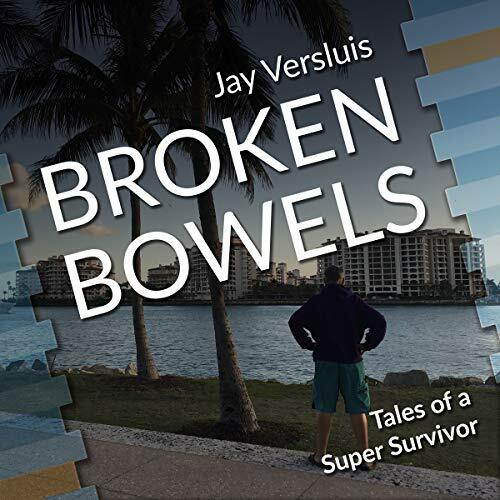 Broken Bowels is my personal account of these horrific, yet truly amazing, years I have endured. I've had countless treatments, six surgeries, and terrible side effects from chemotherapy. I've had a colostomy for nearly two years and an ileostomy for three months. I've lived without solid food for nearly a year. And for many months, I've endured every type of catheter known to man, until I very nearly lost my whole bladder. But I survived, and now I'm happier than ever. My doctors call me a super survivor.